A police officer has been stabbed to death in Luton. Some 37 police officers have been murdered in the line of duty in the past two decades in England, Scotland and Wales. Fatal stabbings of British police officers - the majority of whom are unarmed - are rare, but serve as a reminder of the dangers of the job. Of the officers murdered in England, Scotland and Wales since 1985, 12 have been killed by vehicles, 12 shot, 11 stabbed and three died after being beaten, according to the Police Roll of Honour Trust. Many more have been wounded as those they pursue increasingly carry weapons - typically a knife, rather than a gun. It is these deaths and injuries that have made wearing body armour a matter of routine for many officers. This offers some protection against stab wounds, but is unlikely to stop bullets fired at close range. Pc Jonathan Henry, killed in Luton, was stabbed as he responded to a call in the town centre. Another two people were injured. He was taken to Luton and Dunstable Hospital where he later died. The last name to be added to the National Police Memorial was Pc Richard Gray, 43, shot dead on 6 May while attending a domestic incident in Shrewsbury. The memorial recognises the 4,000-plus police officers who have died while on duty in the past 175 years, painstakingly compiled by the trust. Today most die in crashes involving vehicles. Only a minority are murdered. Of the 44 policewomen to have died in the line of duty, 12 have been murdered - six of those in Northern Ireland. 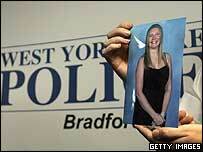 Pc Sharon Beshenivsky was shot dead in November 2005 as she attended an armed robbery in Bradford. "Sharon Beshenivsky is the first to have been shot by a criminal, rather than in a terrorist attack," said Anthony Rae, chairman of the trust. "Generally criminals won't attack policewomen." 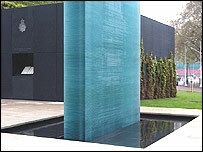 The memorial was unveiled in 2004 after years of campaigning and fundraising by the film director Michael Winner. He set up the memorial trust after Pc Yvonne Fletcher was shot while patrolling a protest outside the Libyan Embassy in 1984. The only other policewomen murdered since have been Nina Mackay, stabbed to death by a paranoid schizophrenic in east London in 1997; and Alison Armitage, who was run down by a stolen car while on an undercover operation in Manchester in 2001. Among the most famous cases of the past two decades is that of Pc Keith Blakelock, a 40-year-old father of three, who was set upon by a mob and hacked to death with a machete during the Broadwater Farm riots in Tottenham, north London in 1985. Such tragedies inevitably raise questions about whether bobbies on the beat should be armed. Paul Tonks, of the West Midlands Police Federation, says that this will simply put officers in greater danger. "If we were to routinely arm officers, then the cons of that could be more criminals prepared to use guns." Michael Winner is among those who disagree. He campaigns for officers to be routinely armed. "There are more villains with guns, more villains who are drugged, there are more villains who really don't care what damage they do to the police. The old idea that they said 'it's a fair cop, Guv, take me to the station' that's over," he said.